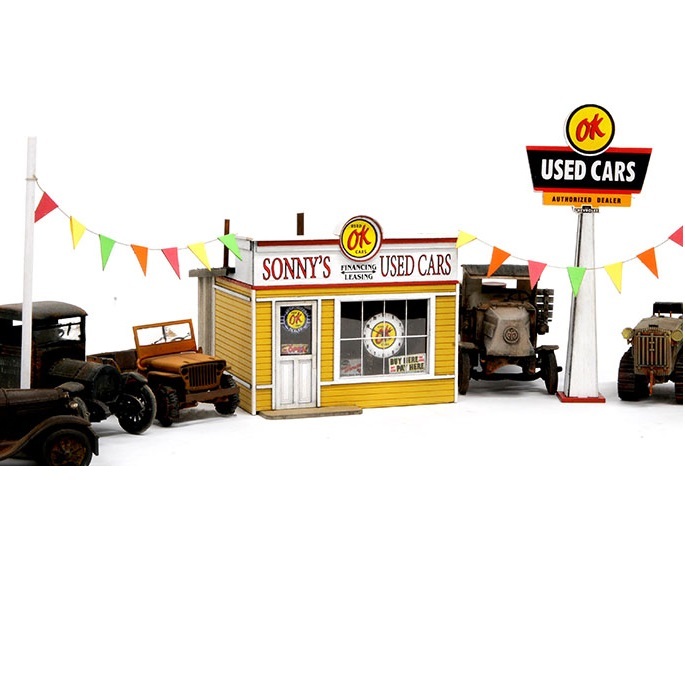 Sonny and his staff made deals all day long from this quaint little office on his used car lot. The versatile building can also be used as a gun shop, bait and tackle, a cigar store, or any number of small businesses, limited only by your imagination and creativity! Banta's kit is composed of a laser cut MDF core, overlaid with laser cut siding. It's a great kit that's fun and easy to build. O Scale foot print is 3 1/2" wide by 3 3/4" deep.